I forgot to repost this article I wrote for Owl Eyes! Last Monday re:fashion set out once again on their quest to equip St Andrews’ students with a revamped wardrobe in a sustainable way. Essentially, students register to be sellers and can then pass on their second-hand clothes to other students. This is there fourth event, and the team are quickly establishing themselves as a valuable fixture of the St. Andrews fashion scene. After attending their event last semester, I was intrigued to see how things had changed. Immediately, upon arrival, the whole vibe seemed more organised. Last semester, the queue of people winding down the street trickling into Parliament Hall slowly at 7pm, with a manic crush developing around the tables with the best wares, had not made for relaxing retail therapy. This time however, it was evident that they’ve made things easier for the casual browser, with large signs directing us to particular areas of interest, such as ‘luxury’ and ‘party’. In terms of physical displays, they were a lot more coherent than last time, which mainly involved tables that followed the perimeter of the room. Stock, quality and quantity, was another vital aspect of this event. Last semester, their Facebook page boasted ‘a fresh collection of carefully curated second-hand clothing at highly reduced prices. Labels include Ralph Lauren, Gucci, J.Crew, Zadig and Voltaire, and Zara’, seeming to place a large emphasis on designer, upmarket brands. This time however, the Facebook event stated: ‘ we have selected a very wide and unique range of clothes – from Zara, H&M, Topshop, FreePeople to Barbour, Jimmy Choo, Furla, Givenchy, Hermes’ mixing the high-street with the high-end. 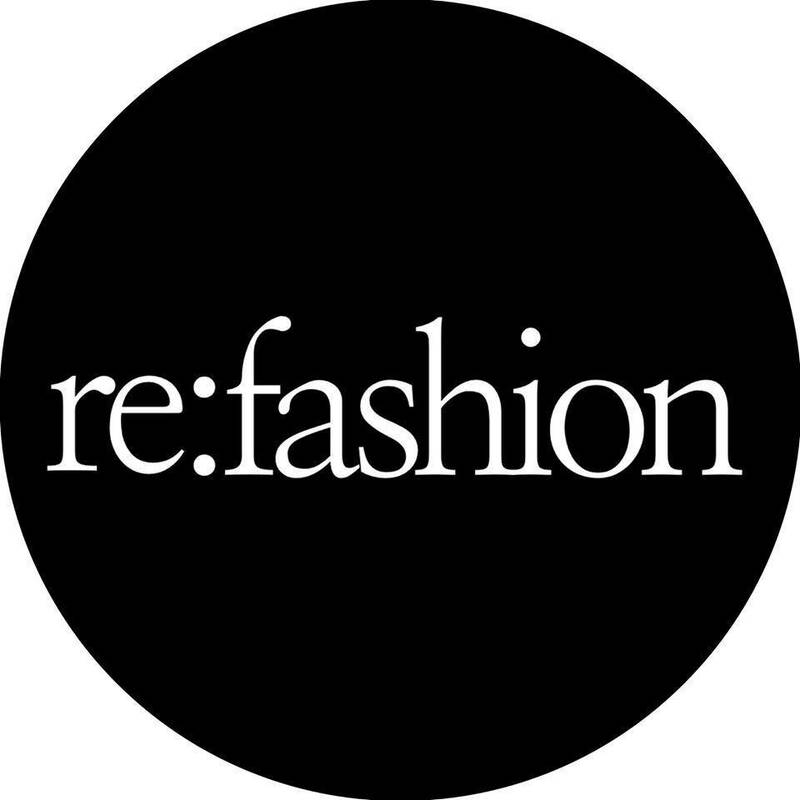 Re:fashion has changed tactics this year, turning away form the original charitable venture, they have opted to grow the project, making it bigger and better in years to come. Chan explained that ‘in our first year, we donated 20% to the charities campaign; in the 2nd year, we donated clothes to Save the Children but in our third year, we’re keeping the profits for investments…we’re reinvesting for the sustainability of this project.’ For example, the clothing rails in the centre of the room were bought and will be reused in the future. While this time round I didn’t have much luck with the retail fairy, last semester I did nab a great clutch bag and a black cropped hoodie. Luckily, the friend I was with struck the jackpot and got a pair of shorts, a top and a dress. The items that made me gush (just a little bit) were a pair of bright red Kate Spade ankle length boots for £50 and an amazing Prada Bag, which was at a pricier £60. I asked Chan what her personal preferences were and she said ‘there were some really nice vintage suede coats and skirt combos’, adhering to her endearing offbeat style. Re:fashion, is going from strength to strength, this year it presented a much slicker operation than it was last semester and it seemed to be stocked just as well. My only criticism would be the lack of space for changing- perhaps they can set up screen doors or something similar next time since there are a few spaces that aren’t being used yet by the main fashion stalls.